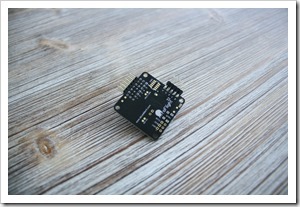 Back in September last year I wrote about the Naze32 Acro that I bought from HobbyKing. I hoped they will offer the full Naze32 version with the MS5611 barometer and HMC5883L magnetometer, but this didn’t happen. This full version is even not available on the developers website. There are retailers, that sell the board for 55 – 60 € in Europe. The acro version cost me only 22 € including shipping. So I decided to upgrade my Naze32 Acro to Naze32 Full. 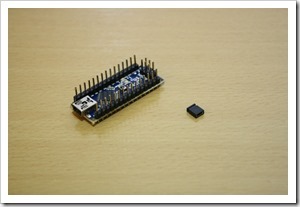 The MS5611 barometer and HMC5883L magnetometer cost about 10$ incl. shipping from Aliexpress.com. HMC5883L Magnetometer from GY-271 Board and even use the capacitors later on the Naze32. Needed capacitors (μF – Micro farad). 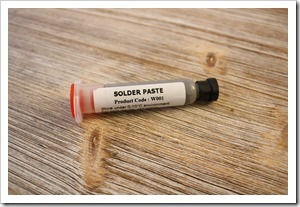 Needed tools: Heat gun/Hot air gun, tweezers, hands free item holder and a solder paste. Before you start it is not bad to download the datasheet for the MS5611 and for the HMC5883L. 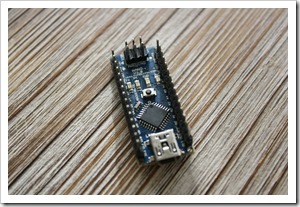 Check out these datasheets to see where is the Pin1 on the downside. On the picture below you can find how to position the sensors and the capacitors (open the original file for better resolution, not the thumbnail). How to do it: put very small amount of solder paste on the empty pins of the board, position the parts on the board and apply heat with the hot air gun on the downside of the board. 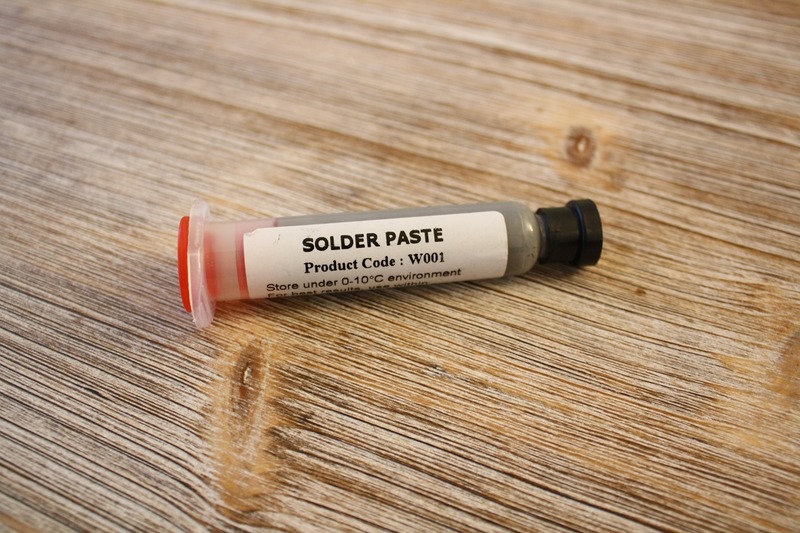 It took me about 20 – 30 seconds on 450 C to melt the solder paste. 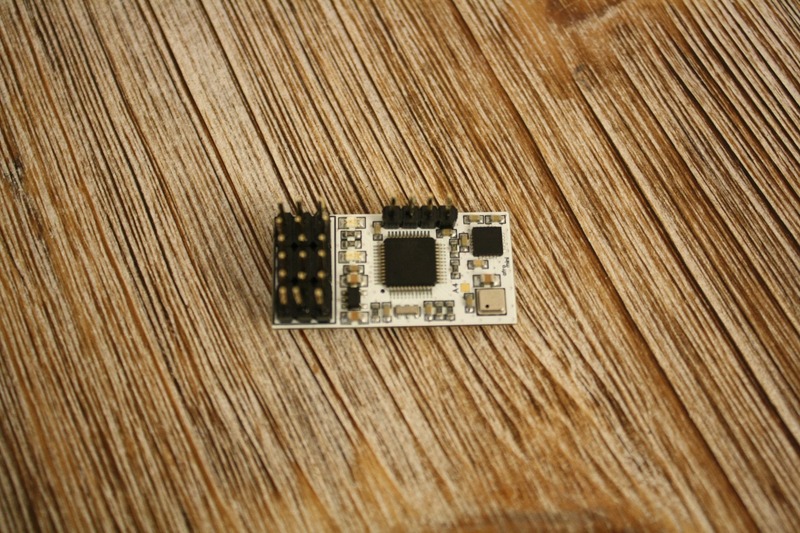 It is a bit tricky to place all this small sensors and caps right, but that is how it is with SMD. If you have done everything right, now you have upgraded your Naze32 Acro to (almost*) full Naze32 for about 10 $. * On the full version there is SPI flash memory too. As far as I know this is not used yet. Update 12.03.2015: Well as the Cleanflight firmware gets updated, now there is an option for saving some flight data (Blackbox). The needed flash chip is the 25P16VP (same as on the OpenPilot CC3D). Here is a link to the datasheet. 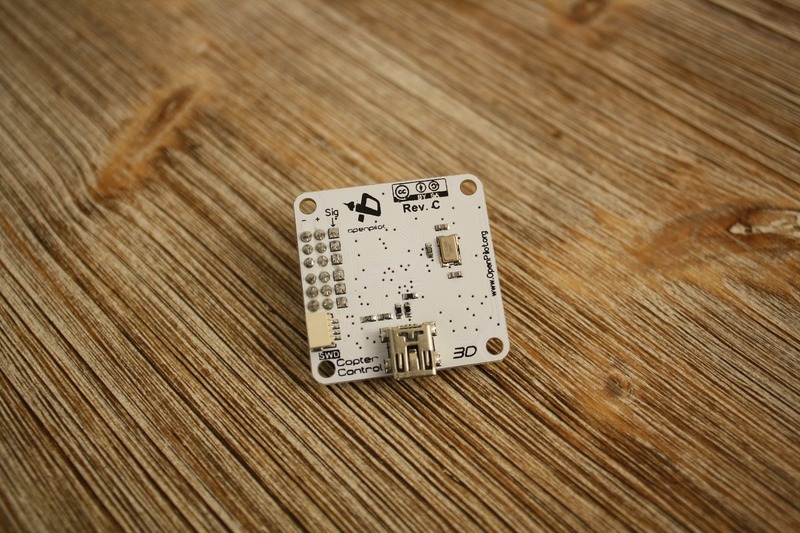 Update 09.06.2015: If you think the soldering of the sensors is not for you, there is a bit cheaper Naze32 Full here. Is “OpenPilot CC3D vs. Naze32” the right question? 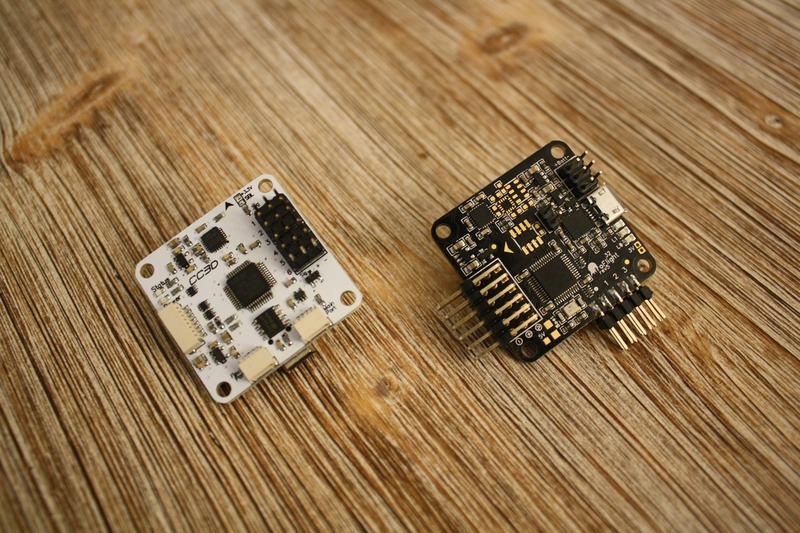 Many people who a starting with the multicopters or just want to try another flight controller ask this question: should I buy OpenPilot CC3D or Naze32? I bought myself a Naze32 Acro from HobbyKing back in September last year and I was impressed by the tiny flight controller. The firmware (Baseflight) and settings were easy to set up through Google Chrome browser. Flying my SG Adventure Mini was just great. 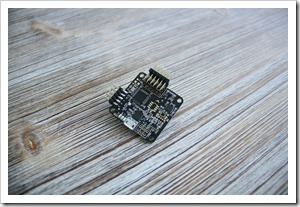 I mentioned that HobbyKing started to sell the OpenPilot CC3D board in late September. I also wanted to try this flight controller, especially since Nick (the developer of the AUAV-X2 flight controller) recommended it. Well, the price of almost 32 $ plus 4 $ shipping cost from HobbyKing was too much for me, considering the Naze32 with the same processor and MPU6050 sensor is about 24$. So I went to Aliexpress and bought one with case for 18,99$ including shipping. In about 2 to 3 weeks the flight controller arrived here in Germany. The quality is good in my opinion, all SMD parts are soldered as it should be. Update: well it is much cheaper now and keeps going down. The Naze32 and CC3D are very similar to each other. 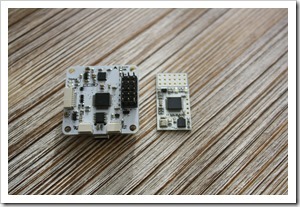 Both use a 32bit STM processor, has the same MPU6000 sensor and are 36x36mm boards. The Naze32 has a Micro-USB and the CC3D a Mini-USB port. Personally I find the Micro-USB better, as I always have such cable on my desk for charging my phone. 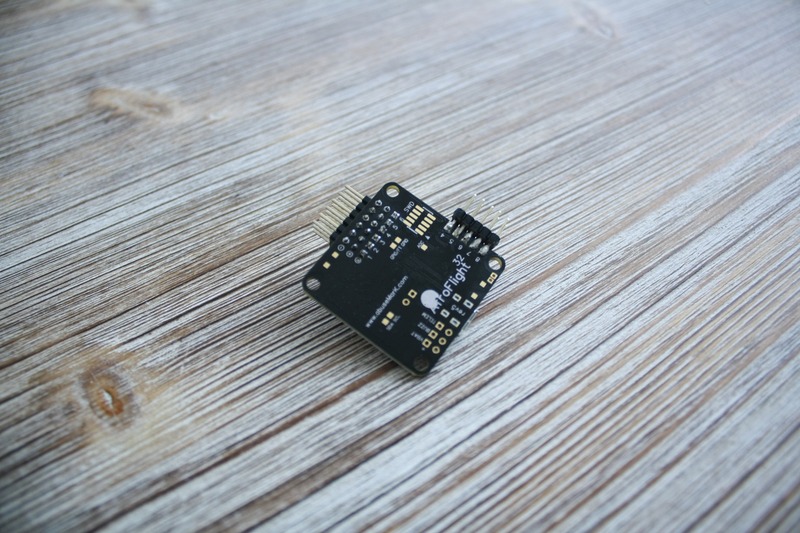 I also prefer the pins on the Naze32 for connecting GPS or receiver. On the OpenPilot CC3D there are JST 1mm ports used. 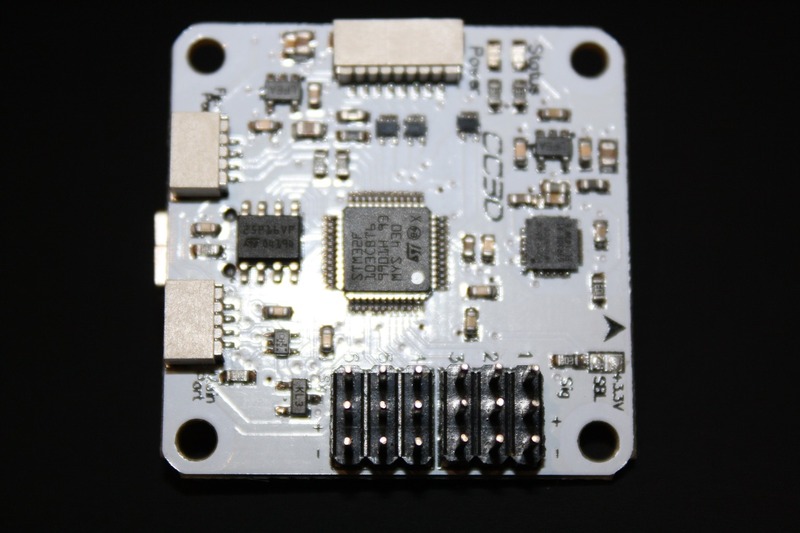 There is something more on the CC3D compared to the Acro Naze32: 16MBit Flash Chip 25P16VP. If using the newest Cleanflight firmware there is benefit from the flash: the Blackbox feature saves flight data on it and you can check it later on your PC. I tested the original software OpenPilot GCS and it looks very good, but I still like the Baseflight solution using Google Chrome and its minimalistic design. There are simply too much options in GSC, which is good, but it is a bit complicated for a beginner (this is my personal opinion). So I decided to look if it is possible to use the Baseflight firmware on the CC3D board, as both flight controllers are so identical. I found this forum page on the OpenPilot website. 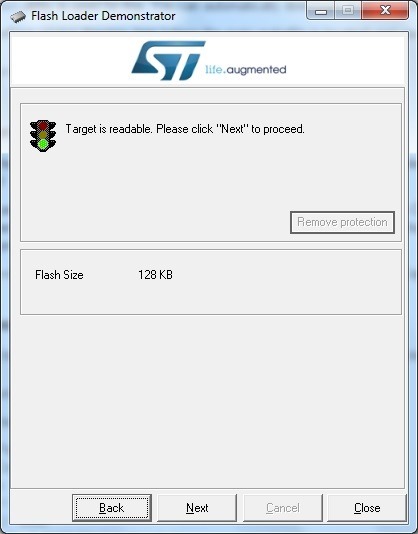 It is possible to do this by installing the Cleanflight firmware. This is another 32bit version of the MultiWii firmware, exactly as Baseflight is. You can find more information about Cleanflight on its website. Even more: you can have both firmwares OpenPilot and Cleanflight installed on the board. I decided to erase the old one and use just the Cleanflight. 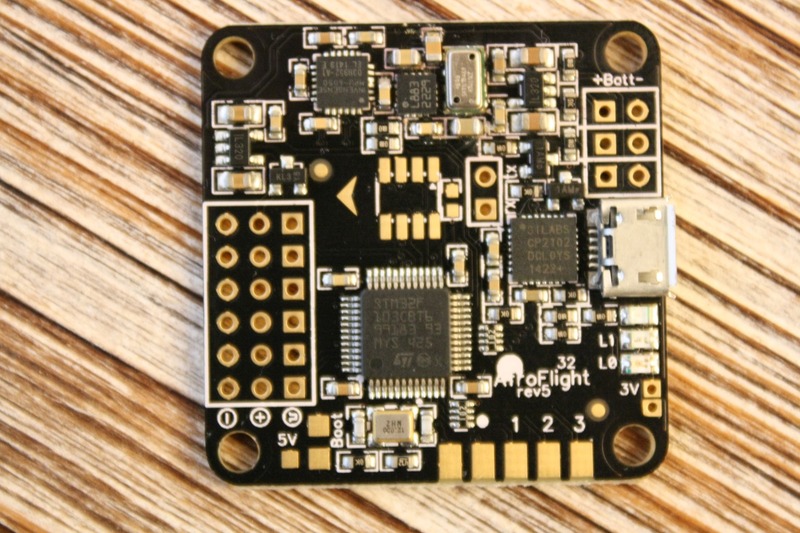 What do you need to flash the Cleanflight firmware on the CC3D board: basically an FTDI adapter or an Arduino with FDTI chip on it, such my Arduino Nano v3. Connecting the CC3D flight controller with the FTDI as usual, 5V, GND, TX and RX to the MainPort on the CC3D. I also installed the STM Flash Demonstrator. 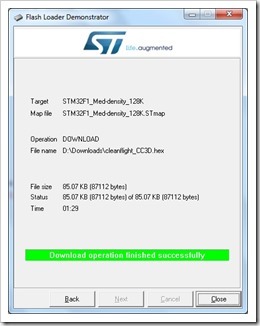 You can download the latest version from the STM website. Then downloaded the Cleanflight firmware for the OpenPilot CC3D board from here. 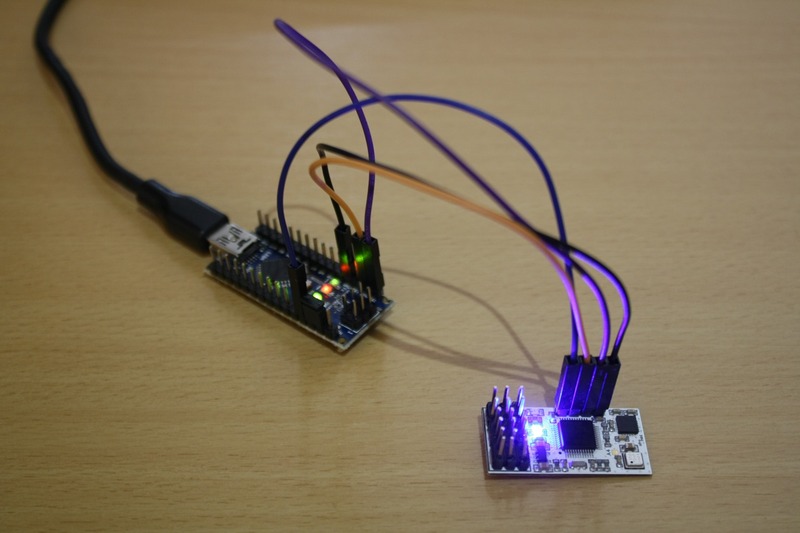 To flash the firmware, the flight controller must be in bootloader mode. 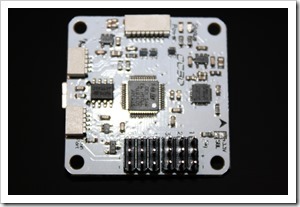 This can be done by connecting the SBL pad with the 3.3V while powering on the board. 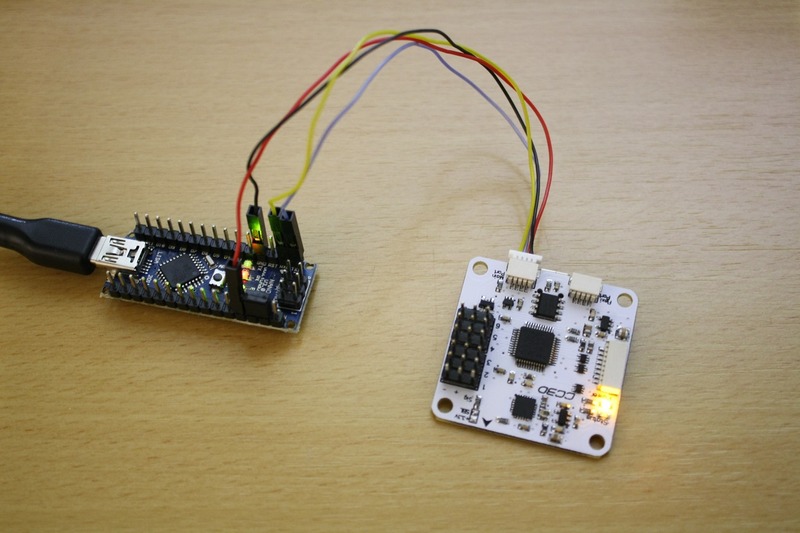 Once the board is in bootloader mode, you can start with the flashing. 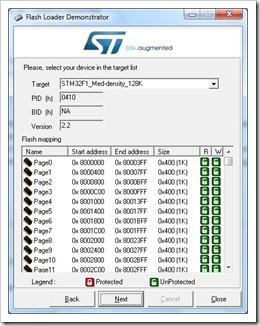 Run the STM Demonstrator and do every step exactly as shown! on the pictures below. I should mention, that I have connected and disconnected the board (with the pins connected when powering on) several times before the STM Demonstrator accepted it. Click “close” and the CC3D board is now as the Naze32. All the settings can be done through the Cleanflight configurator in Google Chrome by installing the App from the Web store. I haven’t tested CC3D in flight, but everything seems to work very well. 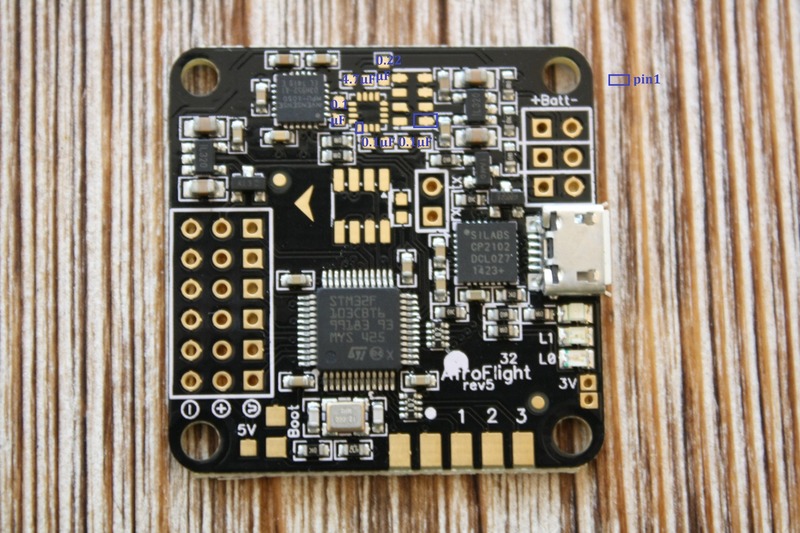 Note that you should connect the CC3D to the Cleanflight configurator through the FTDI, as connecting through USB-Port is not working yet. Update 10.02.2015: Since 1.7.0 version of the Cleanflight firmware, you can connect the OpenPilot CC3D directly through the USB port of the board. Only configuration is now possible. 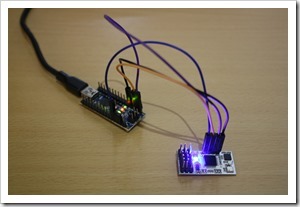 Flashing firmware is still done through FTDI. 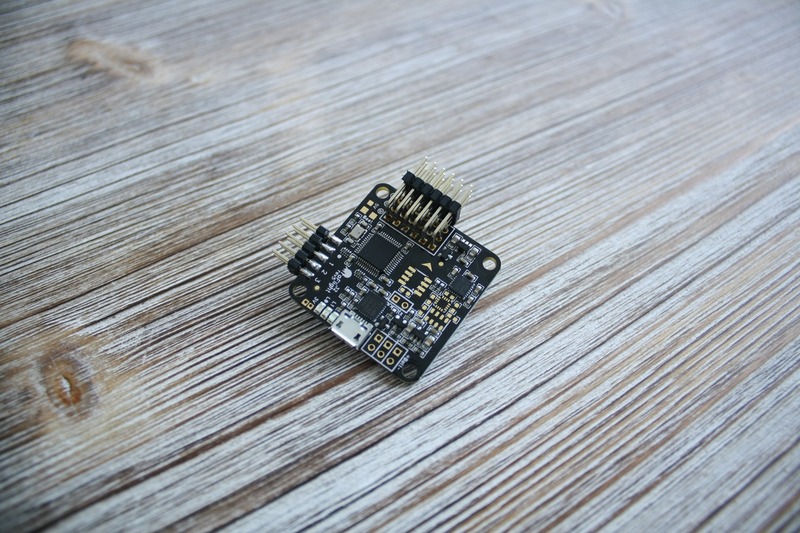 Update 05.06.2015: Just a quick thought and a quick answer if you should buy the Naze32 or OpenPilot CC3D: A pro for the Naze32: there is a possibility to add magnetometer and barometer on it. I have already done this on my Naze32 boards. 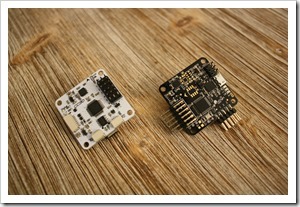 But in most of the time I haven’t used these sensors and flew only in Acro and Horizon Mode. On the other hand, the CC3D has already the 16Mbit flash chip. 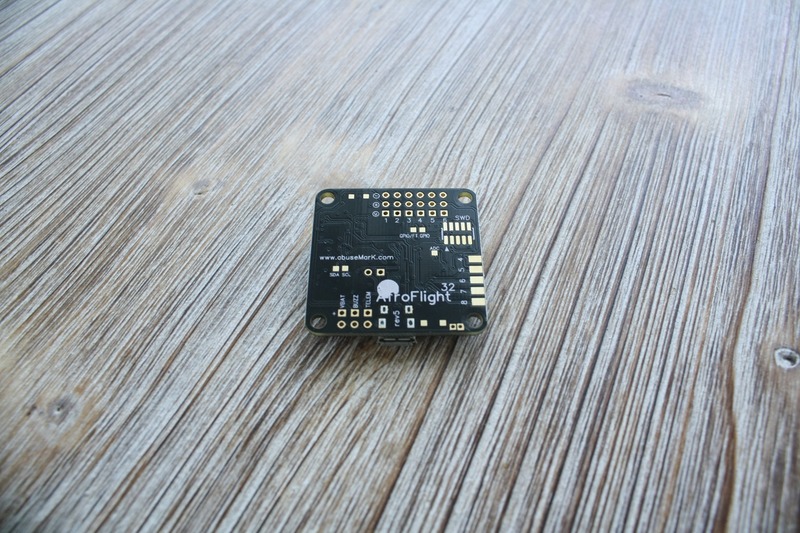 This one is very useful in addition to the Blackbox feature in Cleanflight firmware. You can save a log of the flight and then download it to your computer and analyze it. 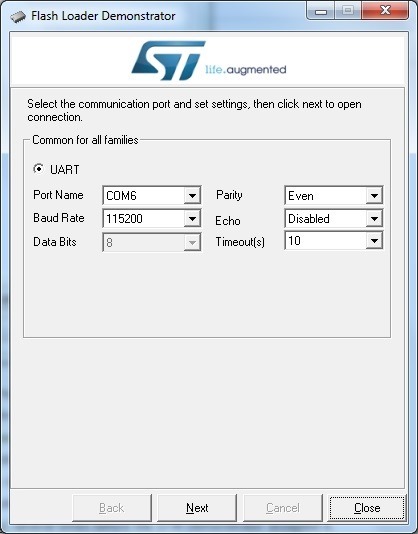 On the CC3D you can also connect your SBUS receiver (like the FrSky X4R-SB) directly to the Main Port. For the Naze32 rev5 you will need an SBUS inverter. 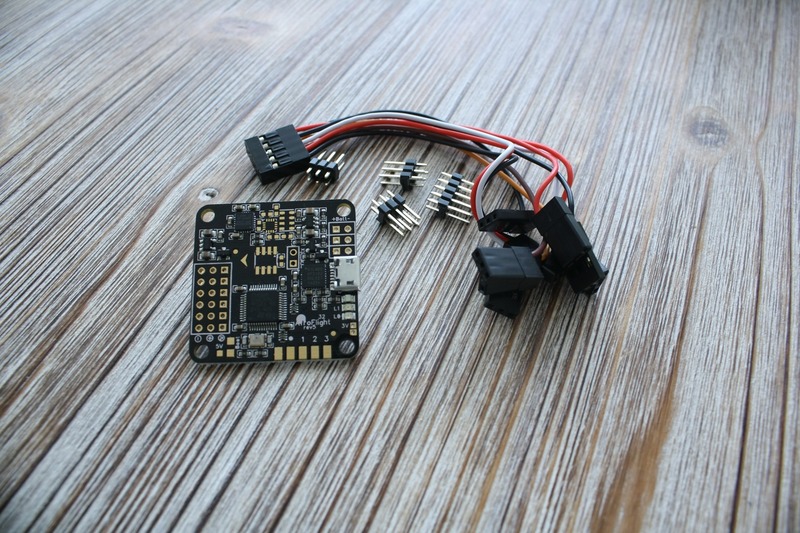 There are still small problems with Cleanflight and CC3D (when changing some settings I must click disconnect and then reconnect again) and still the need of an FTDI adapter for flashing the firmware. 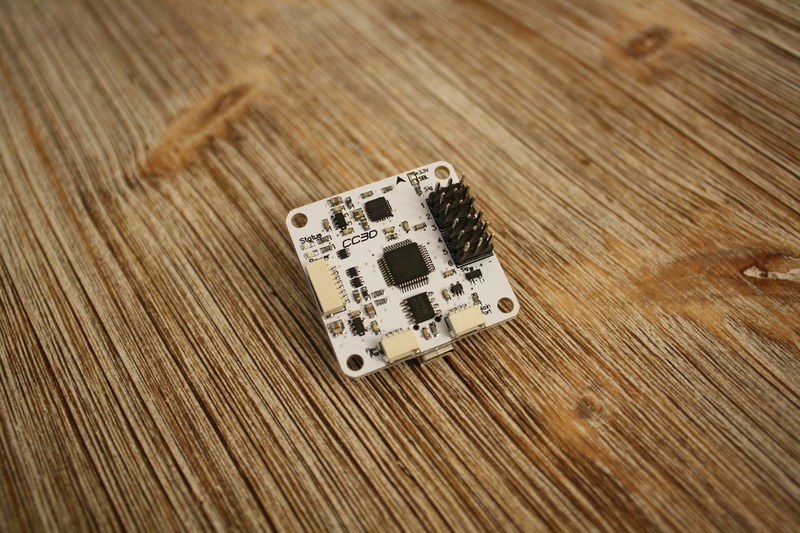 At the moment I will take the CC3D over the Naze32 because of the better price, integrated flash memory, SBUS compatibility and same flight experience. 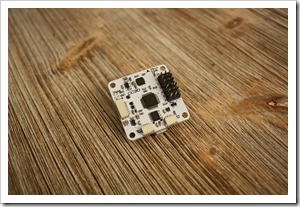 As the developer explained it on his website, this is a micro version of his Naze32 flight controller. 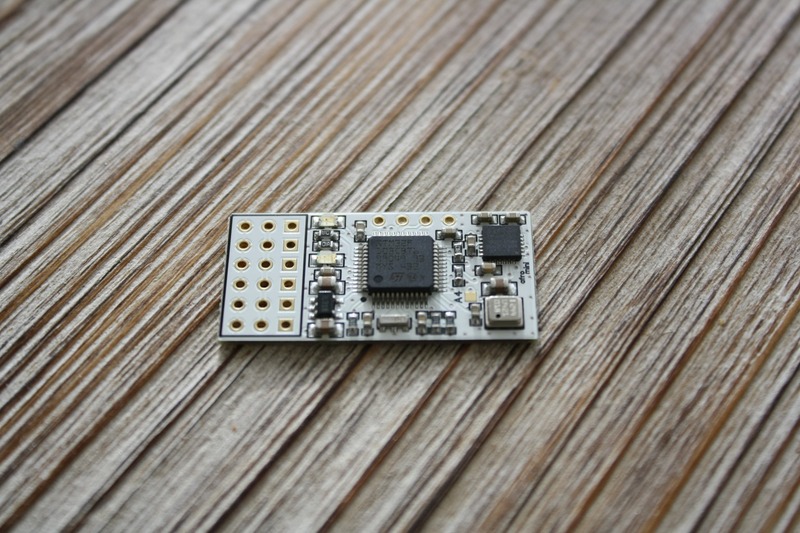 I also have the Acro version of the Naze32 and was happy with its size, weight and features, but wanted to give a try of this even smaller board. Ordered one from the developers web shop: abusemark.com and today I received the board. All the important details about the FC are listed on the developers website. Very nice is the integrated BMP180 barometer, as there is no barometer on the Naze32 Acro version. The board comes without soldered pins and without any pins at all, just the board as seen on the first picture. 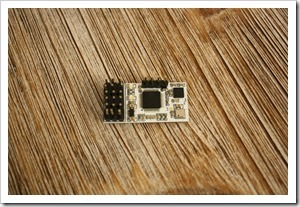 Size: well it is really small, about half the size of my OpenPilot CC3D. Here is a pic with the pins already soldered. 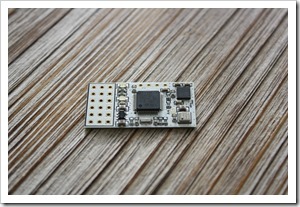 As you can see the board is so small so there is no MicroUSB for setup and configuration as on the normal Naze32. 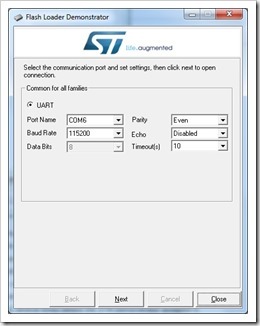 To connect and configure with PC and the Baseflight software you need a FTDI adapter. 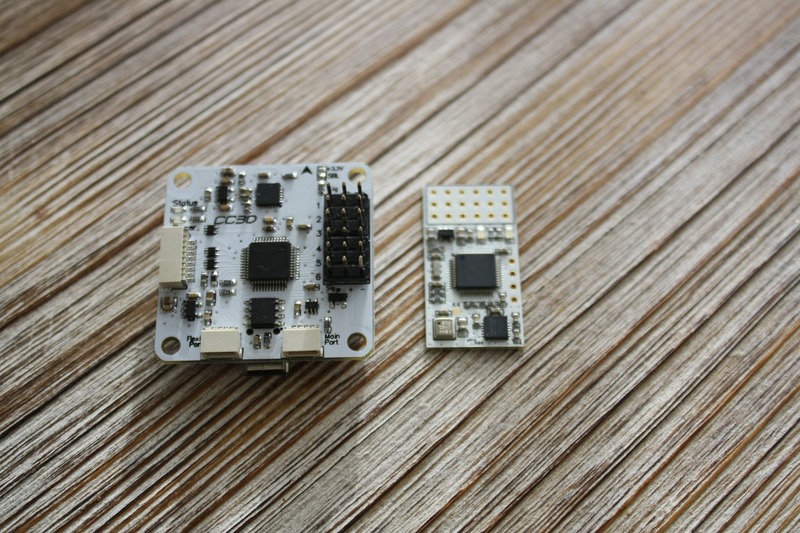 I still don’t have such one, so I took my new Arduino Nano v3 (version with integrated FTDI chip on it) and connected the AfroMini with it. 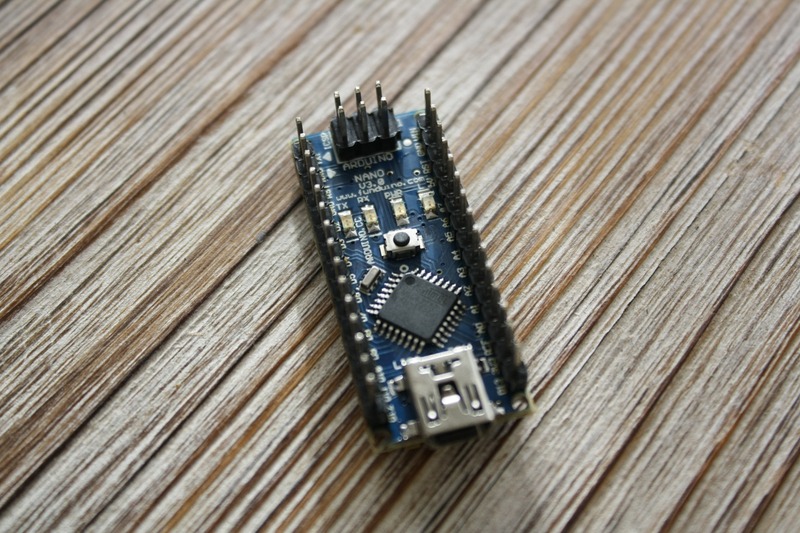 To use only the FTDI chip of the Arduino Nano just place a jumper on the RST and GND pin, so these are connected (alternatively you can hold the reset button until you finish with the setup). Then connect the side-pins from the AfroMini to the Arduino Nano in this way: GND – GND, 5v – 5V, TX – TX and RX to RX (yes, not reversed TX-RX! ). That’s it! 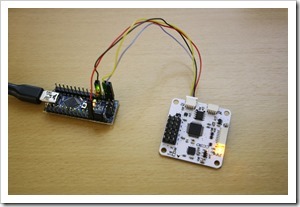 Now you can install the newest firmware and setup the board just like the normal Naze32 board. As I mentioned in the last post, I ordered the Naze32 Acro flight controller from HobbyKing about 2 weeks ago and today I received my package from the customs. 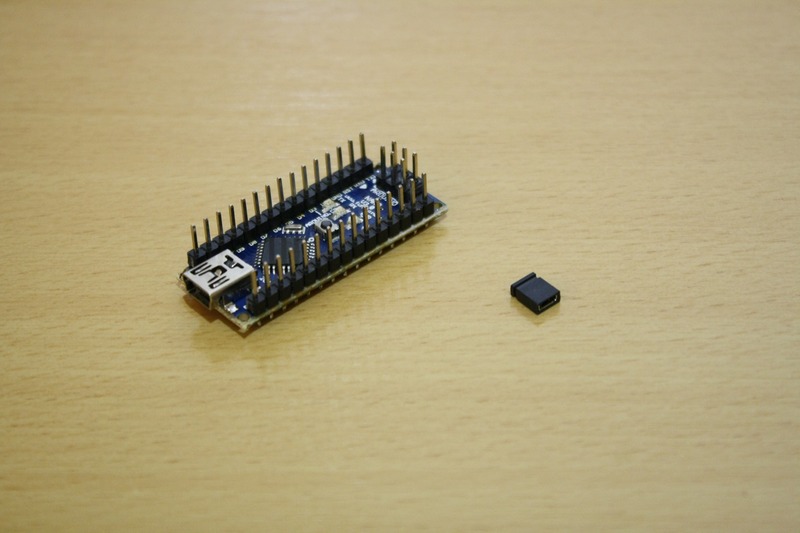 I knew that the flight controller is a small one, but didn’t expect that it is so small in real. Made some photos of the 32bit board before and after the soldering job. 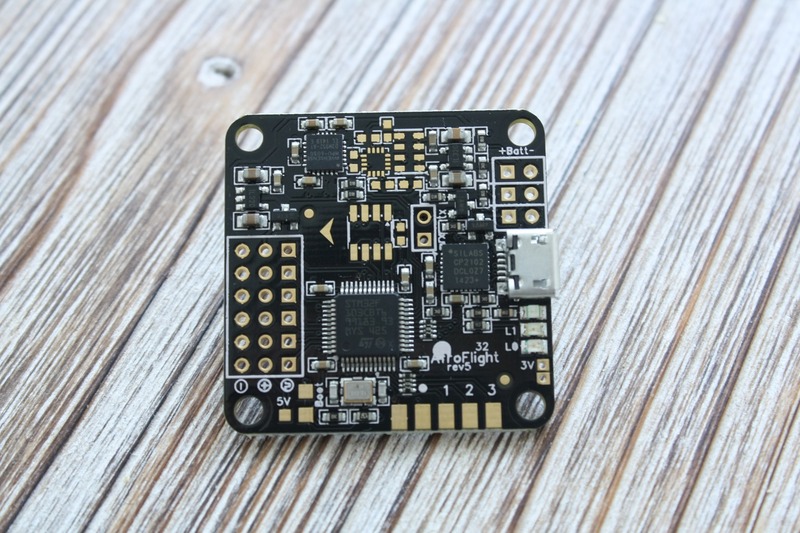 I am really not sure, if this flight controller from HobbyKing is a good choice for starting with the hobby, as the most of the beginners can not use solder iron at all. Of course there are plenty of online resellers, that sell the board with presoldered pins for a bit more money. (for European buyers: http://www.pitchpump.de/shop/flugsteuerung/ ). The quality of the HobbyKing Naze32 Acro is good. Everything looks fine and clean… and it works. Before you start, you should download the drivers for Windows from here and install them. Then you can use the open source Chrome Baseflight Configurator to config the Naze32. Here you can also download a manual from the developer. And these are after I soldered the pins on the board. 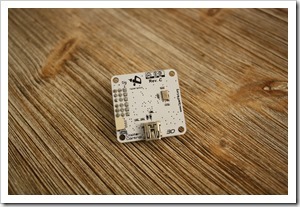 Update 21.10.2014: There is a version with pins already soldered on it. Read about it here.